Thrace Group will participate at the leading international trade fair for technical textiles and nonwovens, that will take place at Messe Frankfurt. 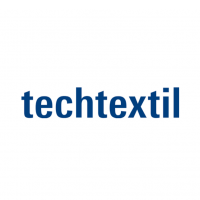 Exhibitors from all over the world will be presenting the entire spectrum of technical textiles during a 4-day event, that aims to provide an overview of the latest developments and innovations in the industry. Focusing on a full range of applications, Techtextil showcases technical fabrics and high-tech products for architecture, automotive, construction, clothing, hazard protection, aviation and aerospace, medicine, furniture and sports industries, while exploring all different aspects and opportunities for future discussion. Thrace Group will be exhibiting its full range of technical fabrics that produces and distributes globally, suitable for advanced, cost-efficient and sustainable constructions. For more information visit us at Hall 3.1 Stand D28.